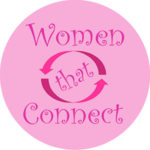 Each month we are profile four of our members so that you can find out a little more about everyone in Women that Connect. What do you do, and how long have you been in business? Hi! I’m Alison and the face behind CutePics Designs. I created my business on the 1st June 2018 after being encouraged and persuaded by my family to showcase my work. I love illustration and after a lifetime of hard graft as a teacher then a Deputy Head teacher, I decided I needed to turn my attention to a relaxing yet challenging pursuit. I have found this in my small business, where I design the hand drawn pictures that you commission and it is a sheer joy to be able to create these. Why did you create CutePics Designs? My particular style of illustration can certainly be called ‘cute’ and I think when you see my pictures and themes there is no mistaking why my business name is so apt! What do you think has been your biggest achievement since launching your business? The fact that I have sold so many different pictures since opening my business is such a positive and in many ways humbling experience as I had no idea whether this ‘niche’ market would appeal! The personalisation aspect of the pictures is very popular and also being part of networking and this wonderful group has introduced me to so many lovely business ladies and business opportunities for which I am truly grateful. Is there a single person who you have learned the most from in your life? If so, what did they teach you? It is difficult to single out just one person! I think it is those closest to me such as my parents when they were alive, my husband who has the most rational and logical brain and without any doubt my two children as they have grown and presented us with a tapestry of differing and varied views on life. I really never stop learning about life, people, behaviours and most importantly how a positive view on life can change the path you walk. If you could have dinner with one living or non-living person, who would it be and why? I’d love to be able to sit and chat to my dad, who was a beautiful watercolour artist in his spare time and tell him now what I am doing and listen to his tips. I never really developed my drawing skills until later in life so he never saw my pictures. For me it has to be Pearl Harbour with Ben Affleck, Kate Beckinsdale and Josh Hartnett. The music by Hans Zimmerman is also so beautiful! What is your best advice for people starting out in business? Have a vision, write the business plan and make it happen. Be realistic and don’t expect too much at once. Join networking groups and be seen and heard. Most of all enjoy what you do and be well prepared for the ups as well as the downs. Every day I have new ideas and plans for creating different themes and I am currently working on a bespoke ‘wedding dress’ portrait theme for wedding gifts, first anniversary gifts, gifts for husbands to give to wives, etc. My priority is, however, to be able to showcase my work in a clear way with a view to starting my own website and online shop where everything can be listed and seen. I am a professional graphic designer and artworker and had worked for design agencies in Leicester before setting up my own design company just over 10 years ago. Why did you create Gail Bradley Design? I did think about having a fancy company name when I first set up but then I thought that I would keep it simple and just use my name and what I do. It does what it says on the tin. I just love it when I have created promotional material/literature for someone who was really struggling to see how they could move their creative marketing forward through design and graphics. I volunteer at Glenfield hospital half a day every week as a 'Meeter and Greeter'. I am also a relief buggy driver there (work permitting), helping patients get around the hospital. That has to be my Dad. He was truely inspirational, a kind, caring gentleman who taught me not to judge anyone, be kind and to never be cruel. Look for the best in everyone. I am so lucky to have had such a wonderful Father and role model. Non living, it would have to be Victoria Wood. Living would be Peter Kay. I love their sense of humour. Believe in yourself and trust your gut feeling. Take on board feedback from other business people and be honest with yourself and others. To carry on helping clients improve their business and promote themselves through graphic design by providing a professional, affordable and reliable design and artwork service. I’m a reflexologist with a particular interest in childrens health. I’m a registered childrens nurse and feel my experience as a nurse will enhance my practice as a reflexologist. I’m very new to reflexology. Treatment room opened last month. Why did you create Equilibrium Reflexology? What do you think has been your biggest achievement since joining the business? Well…!! Tricky as I’ve only just set up so it’s very early days but I’ve had clients in who have really enjoyed their treatment and have recommended me to their friends. I love salsa dancing…a fairly new passion…!! My dad… we were quite estranged for many years but then reconnected when I was about 30 and he died suddenly a few years later… there is much to talk about still. This goes way back to my childhood but often springs to mind… The Blue Lagoon. Ridiculous I know but I loved it! Or any James Bond, another ridiculous one but they remind me of my dad. Believe in yourself…Stay calm…Breathe…! Watch the bank balance… Keep an open mind…Stay focused…Dream big and remember to relax (reflexology is very relaxing…!!). Tiny Toes Burbage is coming very soon. Hoping to launch first group around April time. I own and run Roundabout Hinckley magazine which I launched 10 years ago and also Roundabout the Villages which I launched 4 years ago. Roundabout Hinckley and Roundabout the Villages are local magazines serving the local community. What makes us unique from other local publications is EXCLUSIVITY to our advertisers. This means only ONE type of any business can advertise in our magazines at any one time therefore blocking out their competitors. We only accept high quality businesses as it is very important to me that our readers can trust the businesses who advertise with us to ensure they deliver a high quality service. We create brilliant advert design for our customers and along with the advertising in the magazines we also have many articles along with local community and charity news and information. We deliver the magazines every two months and to a total of 20000 homes in Hinckley and the surrounding villages. We also offer a reliable bespoke leaflet delivery service. Why did you create Roundabout Hinckley & Roundabout the Villages? Originally, I thought Roundabout Hinckley would cover magazines being delivered in and around Hinckley. I thought that if I expanded the magazine it could also mean around Hinckley. However once Roundabout the Villages was conceived it seemed to make more sense to personalise it to the Villages. Creating and maintaining a good reputation. I am passionate about customer service and helping business owners and believe it is all about helping and supporting each other whether or not an actual customer of mine. I was involved in running the market research and tasting sessions for what became HobNobs. I will never forget asking people about the dunkability of various biscuits. I am sure they thought we were mad! But dunkability was important for these biscuits. A wise person many years ago said to me “what’s the worst that can happen"? I have always remembered that and live by that in both personal and business. My lovely Dad. I lost him over 6 years ago and just one more conversation would be great. I miss his wisdom, encouragement and belief in me. An Affair to Remember. I am an old romantic and love a happy ending. Gets me every time I watch it when Cary Grant’s character thinks Deborah Kerr character didn’t show up to their special date because she had changed her mind. However, it is for a completely different reason. I loved that they used a clip of it in Sleepless in Seattle too and Meg Ryan’s client loved the film too. It is never easy and don’t give up at the first hurdle and truly believe in yourself. Enjoying celebrating the Fourth Year Anniversary of Roundabout the Villages and also the Tenth Year Anniversary of Roundabout Hinckley later in the year. We are also looking at further expansion and offering some new services so watch this space.